Home News Is it better being one of the crowd? Is it better being one of the crowd? Anyone who has experienced fighting their way through a seething mass of humanity will perhaps bear witness to their frustration and inconvenience of their experience. Research by St Andrews psychologists, however, begs to differ, suggesting that being part of a large crowd may be beneficial for well-being. 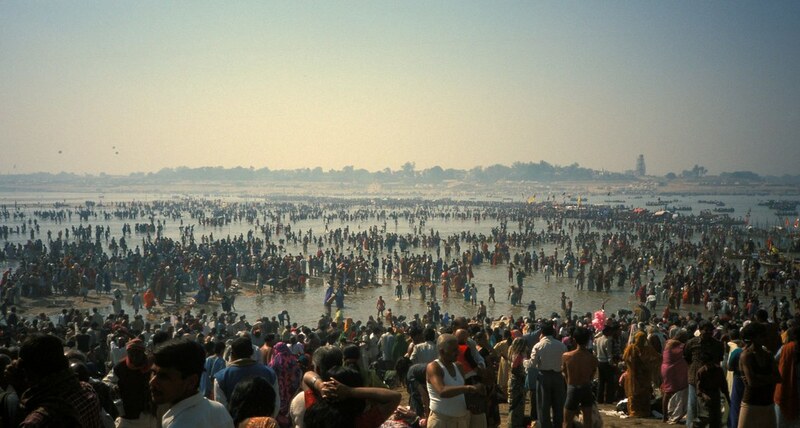 The study examined the crowd of the largest religious festival in the world, the Magh Mela, in which around 70 million pilgrims descended upon Allahabad in Northern India in order to bathe in the Sangnam (a confluence of the Rivers Ganges, Yamuna and Saraswati) as part of a Hindu ritual of cleansing sins and worship. The attendees endure rudimentary sanitary conditions, dense crowds and near-freezing sleeping conditions for well over a month in order to bathe in the cold Ganges water. Despite these physically harsh circumstances, however, the study found that the 500 volunteer pilgrims (known as Kalpwasis) reported improved “state of mind”, “physical health” and “energy levels” in comparison with a sample group of those who did not attend. The researchers suggest that being part of a crowd where members have a sense of common purpose and a common identity fosters close, warm and supportive relations between people. The project was a collaborative effort between the Universities of St Andrews, Exeter, Allahabad in Northern India and Queen’s University Belfast, and was funded by the Economic and Social Research Council.